In our preview of the RADETEC LED Advisor, feedback in the comments ranged from “cool” to “meh” to “why?” I think my feelings on the Advisor took a similar turn during the course of my review. For the most part, it functioned correctly as I tested the gizmo, and I think they’ll likely sell like crazy. But I don’t think the Advisor is really for me. Here’s why . . .
First, some background. Ever since Dirty Harry asked a punk if felt lucky, gun owners have wanted to know how many rounds are left in their piece. Some people swear they can count rounds while they shoot, but I’ve never been one of them. And while I love to practice my mag swaps, I like a heads up whenever possible. Enter the RADETEC Advisor. 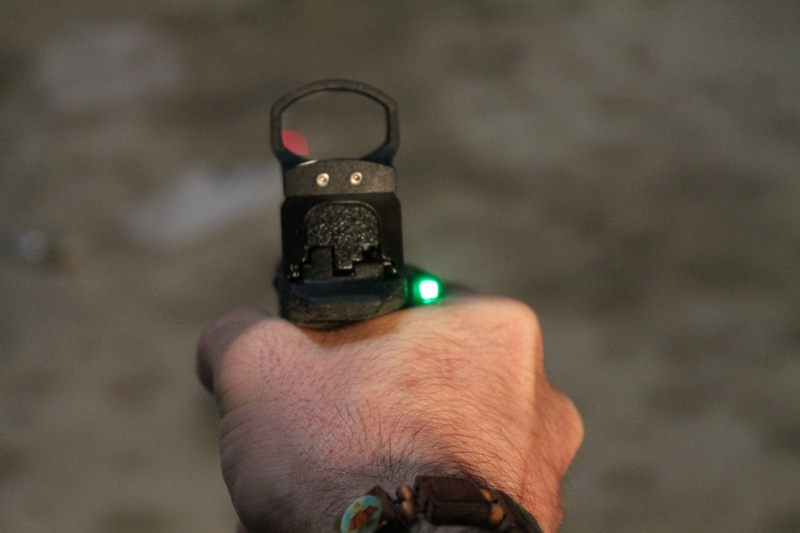 The Advisor is a simple device that replaces the backstrap on your M&P and gives you a small LED in your line of sight that lights up a sequence of colors that relate to the number of rounds you have left. There’s a pricier version with an actual numeric countdown, but we weren’t privy to it. 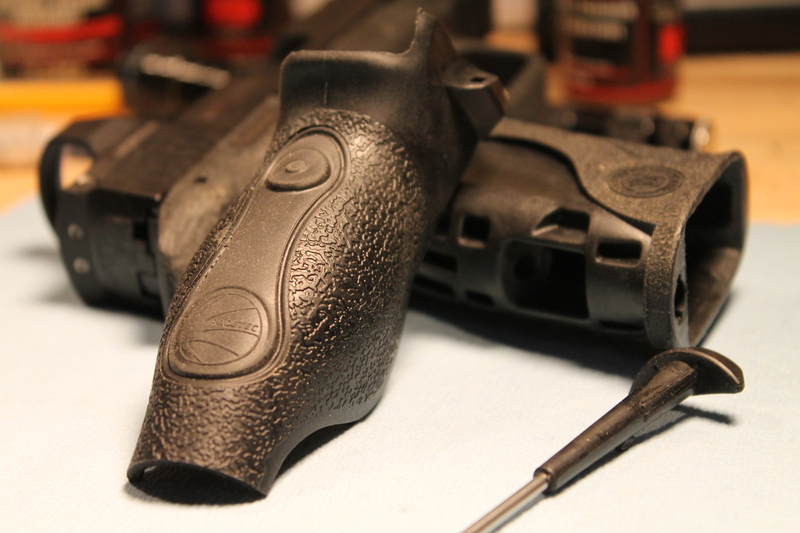 Installation of the Advisor is super-easy and takes no more time than changing out the factory supplied backstraps on your gun (in this case, my M&P 9). Fitment is very tight, and extremely secure. Unlike some aftermarket doodads, the Advisor seems to really blend in with the lines of the pistol and it’s svelte enough that you don’t immediately notice it until it’s in your hand. Similarly, installation of the new new/improved follower takes very little time if you’ve taken apart a magazine before. I’m not sure about your home, but taking mags apart is a nice annual tradition in the Kee household, featuring much festivity and glee. Changing out the special follower the Advisor requires is also a great time to make sure your mags aren’t filled with accumulated sand, grease, and gunk. One of the first things I noticed after installing the new follower was that the magazine now magically holds one less round. While I’d like to consider this a feature, upon further review, I’m fairly certain that it’s not. But, I also realize that getting a magnet and a follower in the same general space means something has to give. In this case, some capacity. Speaking of followers, this one is, quite obviously, proprietary. And without it, the Advisor will do no advising. Furthermore, there are no extra followers to be had at the time of this writing. So those looking to keep a couple of followers in their magazines are S.O.L unless they’d like to buy a couple more Advisors for backup. Good news though, the follower does still activate the slide stop, and save for the case capacity issue, it functions flawlessly. So, once you get everything installed, how well does it work? Well, to be honest, pretty well. Check out the video below to see the Advisor in action in my hands and Nick’s. As you can see, it works for the most part. Occassionally, the light will stay the same color from round to round, but that only ever happened at the beginning of the countdown. The Advisor was flawless when it came time to let me know that there were only one or two rounds left, which is where it really matters. As you can also see in the video, it had no trouble keeping up with my Miculek-speed shooting. Unfortunately, Jerry himself was unavailable to truly give the Advisor a run for its money. However, the biggest drawback I found was in the size of the grips. Where the stock Smith interchangeable backstraps swell the grip backwards, keeping the grip the same width, the Advisor balloons the grip outward to the sides. 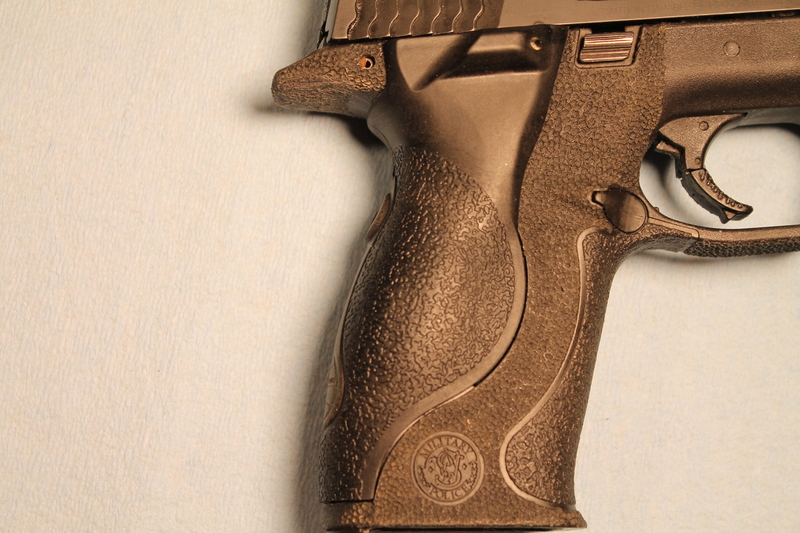 This makes the normally svelte M&P grip more bulbous and rounder. As I have mentioned in nearly every review I’ve done here, I have small hands for a man, and large thick grips are a no-go. With all the bad out of the way….oh wait. The battery isn’t user replaceable. Well, it’s supposed to be. According to Radetec’s web site, if your battery dies, they suggest that you…change it. Who knew? The problem is, despite all my fiddling and Googling, I can’t for the life of me figure out how to do it. After a few emails back and forth with Ruben at RADETEC, he had the following to say. The version that you have is our Generation 1, which was designed without the posibility of changing the battery. It will last 7 years. We are working in a Generation 2, that will be available soon, that will have the battery replaceable. Now I freely admit that LEDs are frugal consumers of power (my LED powered flashlights bear that out), but like all of us, batteries do eventually die. Try as I might, I can’t find a way to get to the battery in the Advisor and the instructions and website are no help either. So for the sake of this review, the battery isn’t user-replaceable. And now with the bad finally out of the way, let’s talk about the good. First, the Advisor works as advertised. The lights work fairly reliably with no problems when the round count gets close to the end where it matters. The grip itself, though wide, is not terribly intrusive. 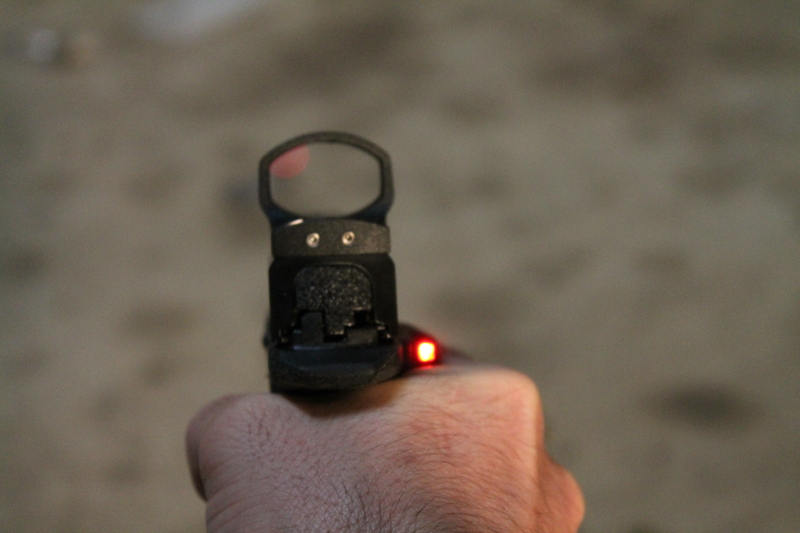 In fact, it has a similar form factor to a Crimson Trace grip, except in this case the light emitting part faces the operator. Second, the controls are very unobtrusive. 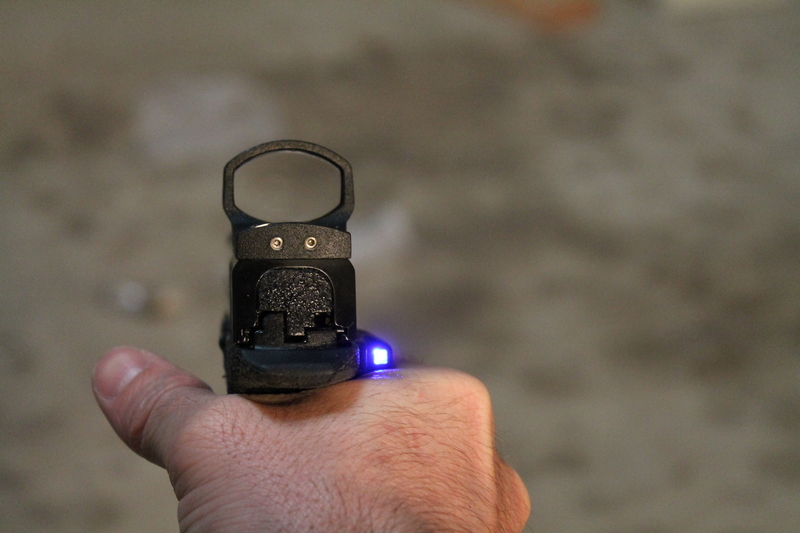 The light is activated by a pressure switch in the grip which a good high handed grip turns on easily. The LED in the Advisor is verrrryyyy bright and so hard to miss. 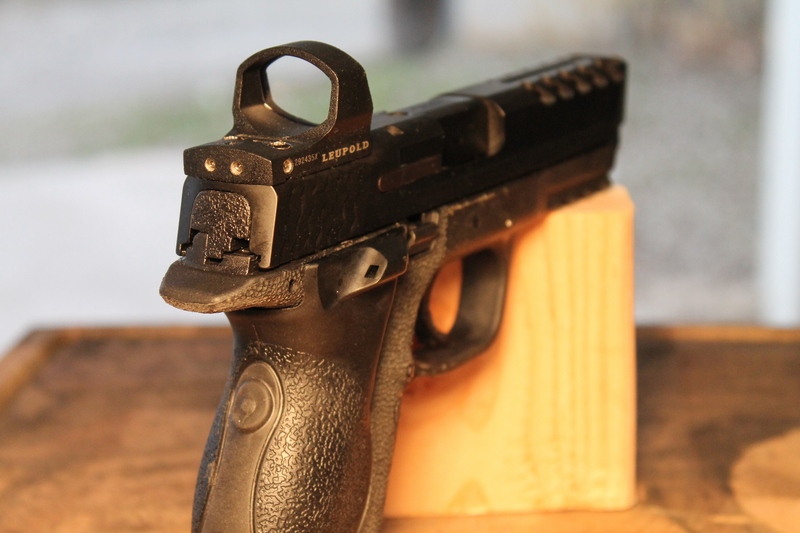 The Advisor fits the M&P very well but the more bulbous grip makes it a non-starter for those with small hands. If your hands are gorillaesque, you should be fine. The Advisor lit up on time, every time without fail. Except when it lit up the same color twice in a row. It appears that whatever powers this thing can’t be replaced by the user. Gen 2 theoretically will be user replaceable. For nearly $170, I’d expect a product that functions flawlessly, isn’t (apparently) junk once the battery dies, and doesn’t drastically change the ergonomics of the pistol. The Advisor is a great idea on paper, and I think with some refinements it could be pretty great. When version 2.0 comes out, I’ll line up to be one of the first to test it. Unfortunately, I’m still lost as to the purpose of this instrument. Won’t the slide being locked back to the rear-or dead trigger click if it’s not- make the shooter aware of the need to reload? 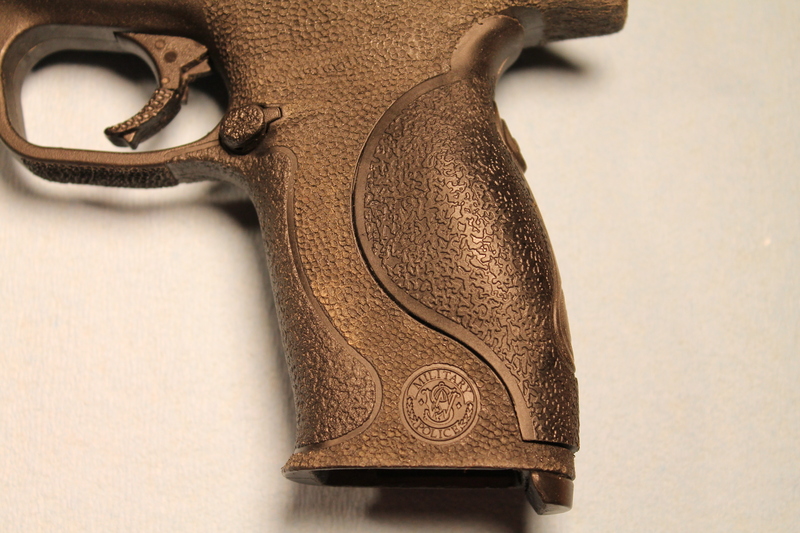 That being said, on a revolver I think this feature has merit, being that they don’t have slides and whatnot. It’s to aid in knowing when to do a tactical reload. Not sure I want an LED in my face while I’m shooting but it’s a cool idea for a full-sized gun and they seem to have thought it through. I wonder which LCR owner will try and get one first… because tactics. One other possible negative: I can imagine that a “verrrryyyy bright” LED might mess with your sight picture in low light situations. What? No flashing neon in sync with the rap on my IPOD? Pass until they get it right. Complete non starter for me if I’m not able to get spare followers. You’re wrong. This is the greatest idea to come along since the 5 as$ed monkey. I thought the greatest idea since the 5 @ssed monkey was the 6 @ssed monkey? This is a great ideas that just isn’t quite ready for primetime. Dirty Harry does not approve. Nope. If I’ve shot that much and have time to reload. RELOAD. I called the manufacturer a week or so ago and got 5 followers for $15 plus shipping. They are useful for IDPA and other competitions when it gets busy. I’d probably not use them in my carry gun, just another interference. Though in a real gunfight they may prove indispensable. Worthless gadget for those who can’t. Where’s De Leon; *he* should buy one of these to keep track of the many “magazine clips” he sprays off proving how deadly “ghost guns” are. Zastava 999. Not the scorpion, the original. 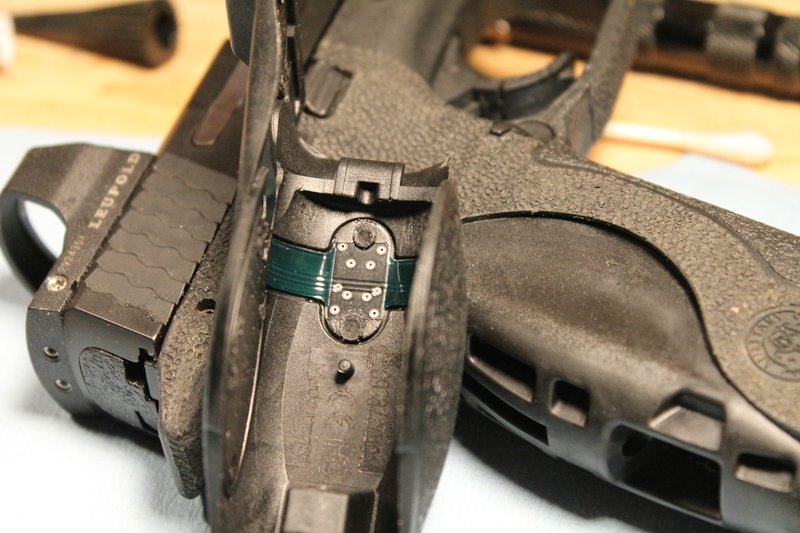 There is a pin near the mag release that is raised as the follower passes it (3 rounds remaining). No loss of capacity, no batteries. If only Century hadn’t mucked it up. 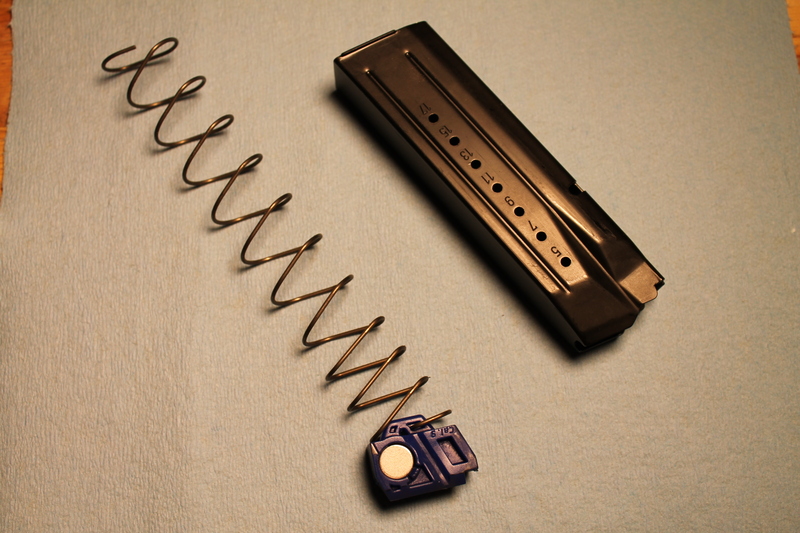 Another way to achieve the same result (to know when your magazine and gun are almost out) is to load a tracer or two in the mag. Should be a tactile warning device, NOT visual one. Same problem as when I looked at it before. Propriatary mags with 1 less capacity=nonstarter for me. If I have to modify the follower that’s one thing. For training it’s not a terible tool. But, 1 less capacity is a no-go. I’d rather not know and have one more bullet I’m not aware of then one less I am aware of.